Go Places, Big and Small. Designed for your daily adventures and exciting excursions, the UPPAbaby MINU offers modern conveniences in a compact, lightweight stroller. Store essentials and extras in the roomy basket and recline the seat at naptime. 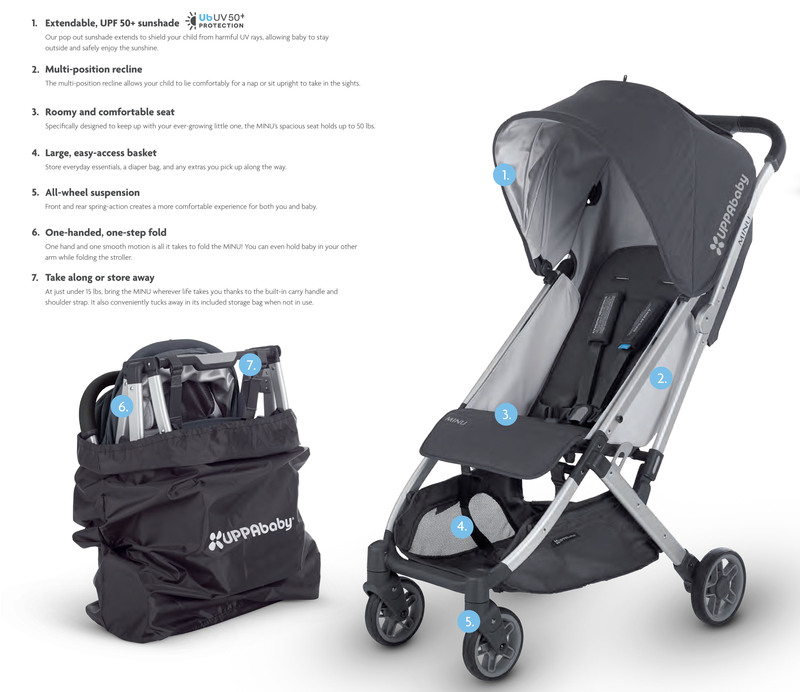 The UPPAbaby MINU has an easy one-handed fold, transforming the stroller into a petite package. You can fit the MINU into small spaces thanks to its compact fold, or take it on the go with the convenient carry strap. Go where you want, how you want - there's nothing extra holding you back. Visit our Los Angeles Store to test and preview the UPPAbaby Minu Stroller, along with the UPPAbaby Vista, Cruz strollers and Mesa Car Seat.